One of the toughest and most dreaded parts of an interview: “Why should we hire you?” Such a simple question holds such a pivotal answer to the job seekers' search for employment. 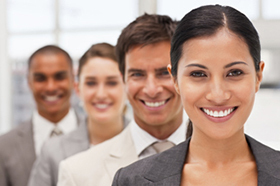 Top Prospect Group presents the "Ace Your Interview" Series. All tips for helping you land your dream job! Top Prospect Group receives Best of Purchase Award! 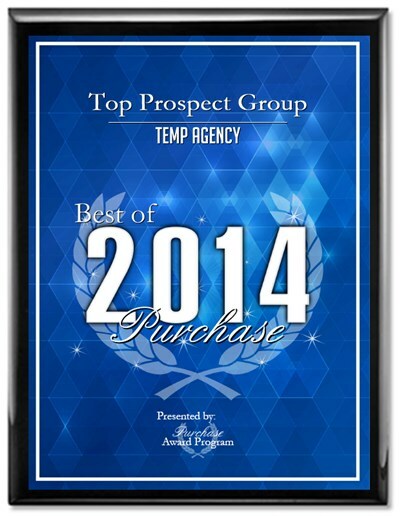 Top Prospect Group Receives 2014 Best of Purchase Award for the best temp agency for Purchase,NY! Please help Top Prospect Group welcome our new Finance and Accounting division! We are proud to announce two additions to our team! You know it, and we know it -- job searching can be an exhausting process. That’s why at Top Prospect Group, we’re working to find clients that match your skill set and job profile. Before sending resumes into the blackhole of the internet, take a few minutes to stay current on the latest tips on interviewing. 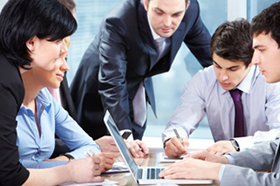 It seems that hiring managers everywhere find themselves in a bit of a quandary. On one hand, most claim to have personal “secrets” of how to find recruits and hire the best candidates, and on the other, many hiring managers still complain that they can’t find the right people.